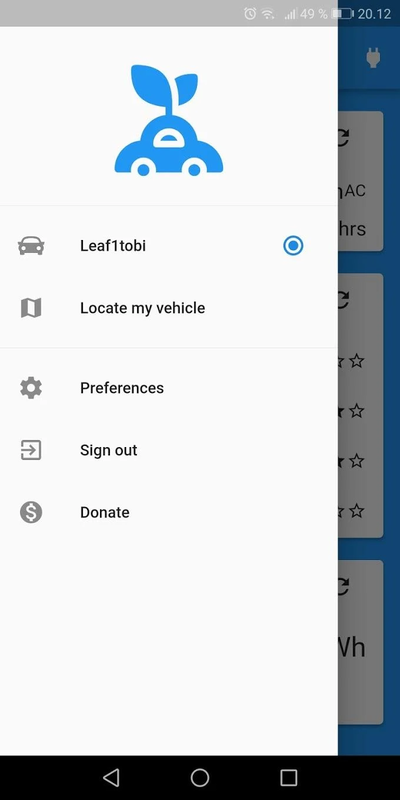 My Leaf is a simple, striving to be great looking, and fast open source alternative to the official NissanConnect EV app from Nissan. My Leaf is written mostly in Dart using the Flutter SDK. You can ask your vehicle for the latest data, see current battery and charging statuses, see the current climate control state, start or stop climate control remotely, remotely start charging, and retrieve the last known location of the vehicle.